R World is Calling. 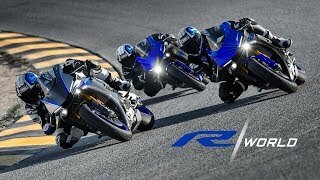 The New 2019 Yamaha YZF-R3Legendary Yamaha superbike styling, advanced twin-cylinder engine, and revised chassis provide superior, nimble handling for both the track and street: The new Yamaha R3 is here: will you answer the call. 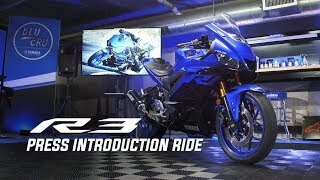 YZF-R3: SUBSCRIBE to "Yamaha Motor USA" on YouTube: For more Yamaha visit Follow us on: Instagram Twitter Facebook Pinterest Life can have many exciting, memorable experiences. Creating opportunities for them is what Yamaha is all about. 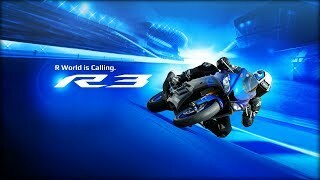 YAMAHA R WORLD. CHOOSE YOUR DESTINY.Yamaha R-Series Supersport bikes deliver the latest in technology, performance and aggressive styling designed to dominate on and off the track. Your invitation awaits –choose your destiny and step inside R World. SUBSCRIBE to "Yamaha Motor USA" on YouTube: For more Yamaha visit Follow us on: Instagram Twitter Facebook Pinterest Life can have many exciting, memorable experiences. Creating opportunities for them is what Yamaha is all about. 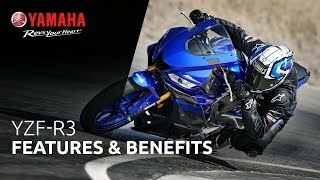 2019 Yamaha YZF-R3 Features & BenefitsThe Yamaha YZF-R3 boasts a range of features to enhance performance, quality, and style. A 321cc liquid-cooled, inline 2-cylinder engine delivers excellent power and performance throughout the rpm range. Sleek new bodywork echoes Yamaha’s YZR-M1 MotoGP® machine, with high-tech LED lighting and new instruments. An inverted fork offers enhanced suspension feel and feedback. The lower fuel tank and revised handlebar position improve rider ergonomics. And Dunlop® radial tires boost grip and road feel. R world is calling. Are you ready to answer? SUBSCRIBE to "Yamaha Motor USA" on YouTube: For more Yamaha visit Follow us on: Instagram Twitter Facebook Pinterest Life can have many exciting, memorable experiences. Creating opportunities for them is what Yamaha is all about. 2019 R3 Press Introduction Ride#RWorld is calling . . . Check out what the media had to say after riding the new 2019 #YZFR3 for the first time. SUBSCRIBE to "Yamaha Motor USA" on YouTube: For more Yamaha visit Follow us on: Instagram Twitter Facebook Pinterest Life can have many exciting, memorable experiences. Creating opportunities for them is what Yamaha is all about.